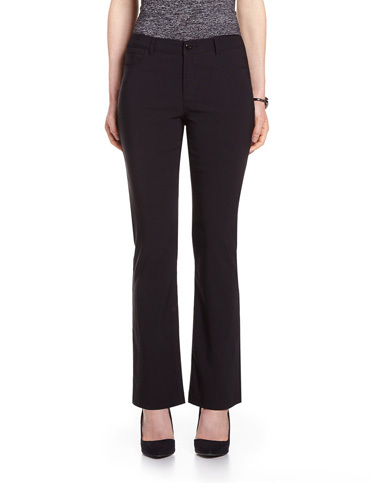 You will fall for these especially versatile Petite New Classic straight leg pants. Featuring front welt pockets and belt loops, you can wear these solid-coloured pants for work as well as for a nice dinner with friends! Pair them with a blazer and high heels for a great sophisticated look. I can wear these pants to work, or even out visiting friends. Great fit and comfortable!! Perfect length !! First slim leg pant that fits me perfectly, comfortable fabric. These will be my new go to pant to dress up or down. I wore these twice and the hem came down all the way on the pant leg. Not impressed. I find it very hard to find black work pants with belt loops in a straight leg. These pants are perfect professional look with the functionality of fair sized pockets.